The intellectual property depicted in this model, including the brand "osi", is not affiliated with or endorsed by the original rights holders. Editorial uses of this product are allowed, but other uses (such as within computer games) may require legal clearances from third party intellectual property owners. Learn more. Legal Notice: The intellectual property depicted in this model , including the brand "osi", is not affiliated with or endorsed by the original rights holders. 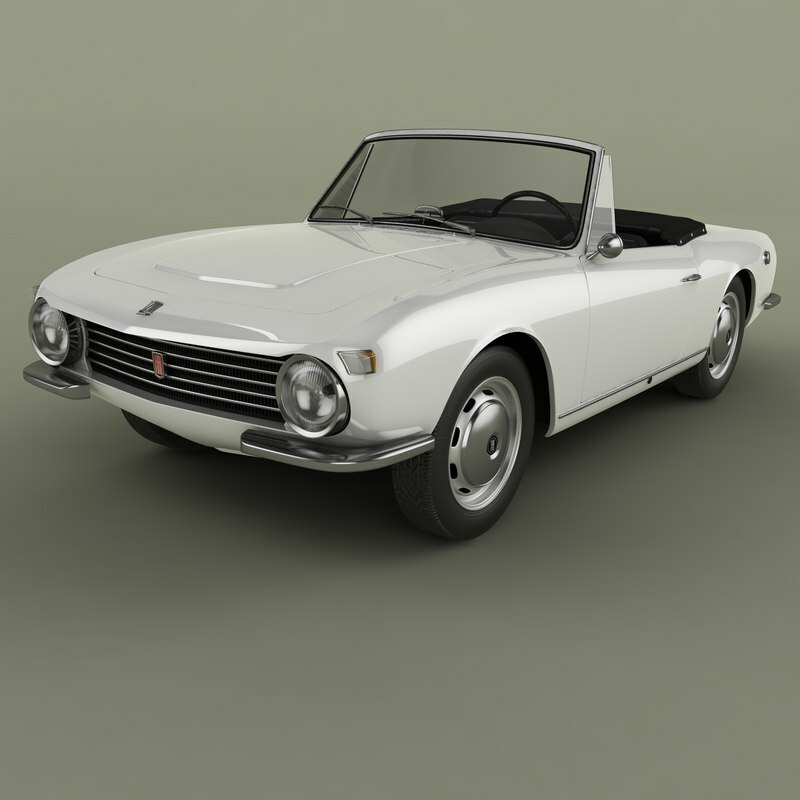 High detailed, correctly scaled model of 1965 OSI Fiat 1200 Cabrio.Originally created with 3ds Max 8. Rendered with V-Ray , files with standard materials are included. Unit system is set to metric units. Model is built to real-world scale. Geometry is Editable Poly. TurboSmooth is use separately to objects (77 of 118 named objects) with iterations 2 ( 712832 polys, 373704 vert.). Each file was checked before upload. Materials and textures are included (5 textures - jpg 1024X1024).